Endoscopic retrograde cholangiopancreatography (ERCP) is a procedure used to treat and diagnose problems in the liver, gallbladder, bile ducts, and pancreas. ERCP uses endoscopy and x-rays. An endoscopy is the use of a special scope with a camera to view the throat, stomach, and upper intestine. Do not eat for 8-12 hours before the procedure. If you have diabetes, discuss your medications with your doctor. Arrange for transportation after the procedure. You should not drive for 24 hours after the procedure. Inform your doctor if you have had previous allergic reactions to contrast material. Your throat may be sprayed with a medication to make it numb. You will be given IV medications to help you relax. If your doctor thinks your ERCP will take a long time, you may have general anesthesia. You will be asleep. You will lie on your stomach with your head turned to the right. A mouthpiece will be placed in your mouth to help keep it open. Your breathing and heart rate will be monitored. An endoscope will be put into your mouth. The scope will be slowly passed through your throat into your esophagus, stomach, and/or small intestine/duodenum. Air will be passed through the scope to open the small intestine/duodenum to allow the doctor to see better. The images will be viewed on a video monitor. The scope will be passed into the place where the ducts from the liver and pancreas open into the small intestine. A tiny tube from the endoscope will then be passed into the opening of the bile and pancreatic ducts. A contrast material will be injected through this tube. The contrast will make the ducts visible on the x-ray. 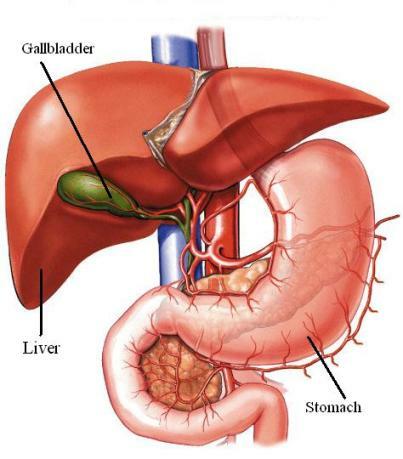 If a gallstone shows up on the images, it may be removed through the scope. Scarring or narrowing within the ducts can also be treated with instruments passed through the scope. Stents may be placed to keep the duct open. Tissue samples may also be taken through the scope for biopsy. The sample will be sent to a lab for further testing. It will take 30 minutes-2 hours. During the procedure, you may feel discomfort in your throat. After the procedure, your throat may be sore for a few days. In addition, you may feel bloated and need to belch. If the ERCP is diagnostic, you may go home the same day. If you have other procedures done through the scope, you may need to stay in the hospital overnight. You will be observed in a recovery area for at least 1 hour before you are sent home. Rest for the remainder of the day. You can resume your normal diet unless told otherwise by your doctor. Do not drink alcohol or drive for at least 24 hours after the procedure. If you were asked to stop taking certain medications, ask your doctor when to resume taking them. Cohen S, Bacon BR, et al. National Institutes of Health State-of-the-Science Conference Statement: ERCP for diagnosis and therapy, January 14-16, 2002. Gastrointest Endosc. 2002;56(6):803-809. ERCP (endoscopic retrograde cholangiopancreatography). National Institute of Diabetes and Digestive and Kidney Diseases website. Available at: http://www.niddk.nih.gov/health-information/health-topics/diagnostic-tests/ercp/Pages/diagnostic-test.aspx. Updated June 2016. Accessed March 5, 2018. Therapeutic ERCP. American Society for Gastrointestinal Endoscopy website. Available at: http://www.asge.org/patients/patients.aspx?id=398. Accessed March 5, 2018.